Selecting the best nursing school in New Jersey can be difficult. To make the process easier first look for a school that supports students towards licensure and beyond. A great way to measure this is through NCLEX-RN "pass rates." We have ranked the top 20 nursing schools in New Jersey by analyzing current and historical NCLEX-RN "pass rates", meaning the percentage of graduates who pass the exam, out of the 45 RN programs in the state. Programs reviewed include schools that offer an Associate in Nursing (ADN/ASN), BSN, or Direct-Entry MSN Degree. New Jersey is offering their nursing candidates, new and future, support and encouragement to pursue a nursing degree with an array of different incentives. These incentives include, but are not limited to: preferential job selection, salary increases, advancement opportunities and help with funding for school. In fact, the Bureau of Labor Statistics reports the average salary for a registered nurse in the state at $79,840. New Jersey is looking at an average projected annual job opening of 2,000 new jobs per year over the next 5 years. Candidates are being encouraged to jump on board and join in the movement toward quality patient care. A great gateway into the nursing profession, an Associate's Degree in Nursing (ADN) has been gaining in popularity. This 2-year degree is a quick and efficient way of becoming a registered nurse. You can readily find this type of program at local junior colleges, technical schools, and more. Over 12 schools in the state of New Jersey offer an ADN program, making it a snap to find one to suit your unique needs. Arguably the most important factor to consider when looking for a good ADN program is proper accreditation. 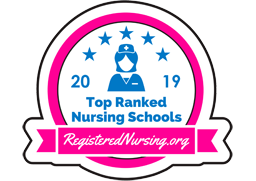 Respected national organizations like the Commission for Education in Nursing (ACEN) and the American Association of Colleges of Nursing's Commission on Collegiate Nursing Education (CCNE), amongst others, will only lend their names to the best nursing programs. Aside from this, you'll also want to look for accreditation locally from the New Jersey State Board of Nursing. It's imperative that your ADN program fully prepares you to take the National Council Licensure Examination (NCLEX). This is the test you will have to pass in order to receive a nursing license from the New Jersey State Board of Nursing. Peruse your school of choice's curriculum, and perhaps even think about contacting the faculty, to ensure that the program produces graduates who excel at passing the NCLEX. According to the American Association of Colleges of Nursing, 81.4% of new nurse grads passed the NCLEX in New Jersey in 2015. An example of a school offering a properly accredited ADN program in the state is Ocean County College, located in Toms River, NJ. Paying for your ADN education can take a lot of planning. You'll have to pay the main cost of tuition, which generally covers your courses. Then you'll need to pay for indirect costs like textbooks, uniforms, transportation, and other mandatory school fees. If payment is an issue, see what kind of aid is available from your school's Financial Aid department. You can also use scholarships to offset the cost. To provide an example on cost, the tuition for the ADN program at Raritan Valley Community College, located in Branchburg, NJ, is $143 per credit for in-county students and $178 per credit for out-of-county/state students. ADN programs are designed for those who want to become registered nurses, but don't want to spend a lot of time in school. The 2-year program makes it easy to get in and out, and start working in healthcare before students in traditional programs are even done with their coursework. It's also ideal for those located in less urban areas, as smaller community colleges are often where ADN programs are found. Due to the popularity and expanded employment opportunities of registered nursing, many New Jersey Licensed Practical Nurses (LPNs) eventually opt to advance their education via an RN program. Luckily, there are specialized LPN to RN programs to help these nurses reach their goals. The LPN to ADN program pathway is the basic option for LPNs. This program type can be completed in a few semesters, often taking less than a year to complete, and poises the graduate to take the NCLEX-RN exam. Rowan College at Gloucester County offers a selective-admission LPN to ADN pathway for interested students. Those looking for a more intensive nursing education may opt for the LPN to BSN pathway, in which students complete baccalaureate coursework. Woodland Park's Berkeley College offers the only on-campus LPN to BSN program in the state. A Bachelor's of Science in Nursing (BSN) is another educational option for becoming a registered nurse. This program is traditionally 4 years in length, and typically offered at larger universities in more urban areas. A registered nurse with a BSN has the opportunity to hold a wider variety of nursing jobs, including management positions, and has the potential to earn a higher salary. Additionally, many schools are now offering an accelerated BSN program as well as an RN to BSN program, making it one of the most versatile nursing degrees out there. New Jersey has more than 12 schools throughout the state that offer an accredited BSN program. There are a few main factors to research when comparing BSN programs in the state. School location, cost, accreditation, and program outcomes are just a few of the things you should be looking for. If you have already completed a bachelor's degree or higher in another subject, then you may want to look for a school that offers an accelerated BSN program. If you're already a registered nurse looking to advance your career, finding a school that offers an RN to BSN program is a good idea. Thomas Edison State University, located in Trenton, NJ, is just one school in the state offering an accredited BSN program. A traditional BSN program (also sometimes referred to as a "Generic" or "Pre-Licensure" BSN) will take 4 years to complete. If you are looking into nursing as a second degree, an accelerated BSN can take as little as 15 months from start to finish, depending on the school. Lastly, RN to BSN programs, for those who already hold an ADN or nursing diploma, typically last around 2 years. It's always a good idea to inquire directly with any prospective school about their specific program lengths. 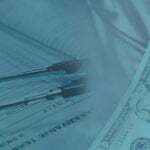 It's important to fully break down the costs and fees of any prospective BSN program. Remember that you'll need to pay for tuition in addition to extra mandatory costs like books, lab fees, equipment, and more. Your school's Financial Aid department should be able to provide you with resources if you need help paying for your program of choice. For example, the tuition for the accelerated BSN program at New Jersey City University is $8,304.35 per semester, plus a $1,260.50 nursing fee and a $1,657.75 general fee. A BSN will put you on a path of success in nursing, as it provides the opportunity to hold higher positions in the nursing world as well as higher salaries. In fact, a BSN is often necessary in order to advance in your nursing career. It's a great choice for those who are interested in a traditional 4-year degree at a larger school. 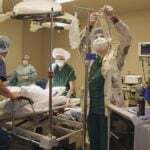 Those wanting to achieve the highest level nursing careers should aim for a Master's of Science in Nursing degree (MSN). This advanced degree is available for those who already hold a BSN and want to advance to nursing jobs including Clinical Nurse Specialist, Certified Nurse Midwife, Nurse Practitioner, and other specialties. These jobs typically come with much higher salaries than standard nursing jobs. Over 10 schools in the New Jersey area offer accredited MSN programs. Generally, you can expect an MSN program to take 2-3 years to complete. Many schools offering this program offer flexible schedules so that busy working nurses can complete the coursework. Online classes, evening classes, and part-time schedules are commonly offered. It's advised to inquire with any prospective school regarding the types of coursework schedules they offer. Costs can fluctuate wildly depending on which school and MSN program you are interested in. Be sure to properly compare program costs, including direct costs like tuition, as well as indirect costs like lab fees, books, transportation, room and board, and more. To provide an example on cost, the tuition and fees for the MSN program at Ramapo College of New Jersey in Mahwah is roughly $736 per credit. 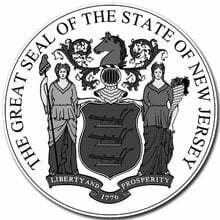 New Jersey requirements for licensure are clearly laid out and require candidates to submit an application, fees and supporting documentation. Fast-track your career by taking an accelerated BSN program and complete your degree in 12 to 15 months. Fast tracking your degree will require full-time commitment as the course load and clinical hours run simultaneously with in the program, which is why working while attending the program is greatly discouraged. Each program has different eligibility requirements that might mean candidates have to take additional courses before the start date of the program, these courses will also add cost to tuition and increase the amount of time until completion. For further tuition information contact the individual college programs. Rowan College at Gloucester County, located in thriving Sewell, New Jersey creates the next generation of excellent nurses. Competent faculty train nursing students in the art and science of nursing practice; with contemporary care models and diverse clinical experiences, Rowan graduates excel in the workforce. Visit the Rowan College at Gloucester County nursing website to learn more. Thomas Edison State University is located in Trenton, New Jersey. Molding confident and competent nurses has given the university’s Accelerated 2nd Degree BSN Program an excellent reputation. The university also offers RN-BSN, MSN and DNP programs for registered nurses. Students graduate to become leading members and advocates of their profession. Follow the link to learn more about the Thomas Edison State University nursing program. Our Lady of Lourdes School of Nursing in Camden, New Jersey is an acclaimed program for nursing students. With over 1,900 nursing program graduates, the school succeeds with a sound and contemporary curriculum with varied clinical placements for student experience. Follow the link to learn more about the Our Lady of Lourdes School of Nursing nursing program. Holy Name Medical Center’s School of Nursing offers students a diploma pathway toward an RN career, with the option to complete an ADN degree through a collaborative agreement with Saint Peter’s University. 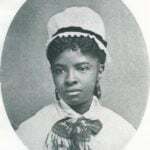 The School of Nursing was founded in 1925 with just 13 students, and has grown to become one of the largest coeducational diploma programs in the state. The curriculum focuses on nursing theory, clinical experiences, and professional development. Visit the Holy Name Medical Center nursing website to learn more. Chamberlain University's College of Nursing prepares RNs at its North Brunswick campus through its 3-year BSN program. With no wait lists and the incorporation of high-tech nursing labs, grads of Chamberlain are well-prepared for gainful nursing employment. Get all the program details by visiting the Chamberlain University website. Warren County Community College, located in the city of Washington, boasts an ADN pathway aimed at preparing students for entry-level positions in registered nursing. This highly competitive program offers predominantly daytime courses, with some clinicals in the evenings at sites around Warren County. 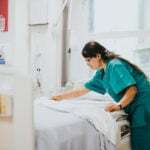 Grads are poised to find gainful employment in the field, or they can eventually complete a bachelor’s degree in nursing. Get all the program details by visiting the Warren County College website. Mahwah’s Ramapo College has offered a BSN program since 1993. Through it’s partnership with The Valley Hospital, the classroom portion of the program is taught on the Ramapo campus while the clinicals are offered by the Master’s-level nurses of The Valley Hospital. Graduates of the program are prepared to work as RNs in a variety of healthcare sites. Check out the official Ramapo College nursing program. Bloomfield College is located right on the Garden State Parkway and between several other thriving communities. The college is renowned for the excellence of their nursing candidates - graduates continue to be leaders in generalist nurse competencies and lifelong learners. Learn more by visiting the Bloomfield College nursing website. The College of New Jersey is integral to Ewing Township. Experienced nurse educators help students learn theories, principals and models around the tenets of contemporary nursing - graduates are an important part of the local nursing workforce. Check out the official The College of New Jersey nursing program. Salem Community College in Carneys Point offers an outstanding ADN program for those who are current LPNs. This one year program provides students with the clinical reasoning skills and knowledge to bridge into registered nursing. Follow the link to learn more about the Salem Community College nursing program. Galloway’s Stockton University offers a pre-licensure BSN program that is highly competitive and boasts quality education, personalized guidance from faculty, and more. The curriculum is designed to help students understand the physical, social, and behavioral sciences, as well as accept responsibility for their learning and professionalism. Check out the official Stockton University nursing program. Saint Francis Medical Center College of Nursing is the proud home to an exemplary extended program designed for students coming directly from high school, and a general diploma program, and an LPN to RN bridge program. Incorporating faith and service into the curriculum means that St. Francis graduates are responsible for their team and accountable to their profession. Get all the program details by visiting the St. Francis Medical Center website. Located in Edison, Middlesex Community College prepares prospective nurses with an ADN program in which students begin assisting patients within their first semester. The program is designed to be completed in just four semesters and boasts a 92.41% first-time NCLEX-RN exam pass rate. Get all the program details by visiting the Middlesex County College website. Bergen Community College of Paramus serves students via its Associate of Applied Science in Nursing program that offers both day and evening tracks. Upon graduation, 100% of BCC's students find employment in the nursing field. Get all the program details by visiting the Bergen Community College website. William Paterson University in Wayne offers numerous quality nursing programs, including a general BSN, an RN to BSN, and multiple master's degree and post-grad pathways. WPU's BSN grads quickly find entry-level nursing employment, or can opt to continue their education with a graduate-level nursing degree. Get all the program details by visiting the William Paterson University website. Felician University in Rutherford, New Jersey is renowned for the implementation of culturally appropriate nursing service models - a valuable aspect in today's multi-cultural society. Felician nursing graduates are a sought-after addition to medical clinics and hospitals. Check out the official Felician University nursing program. Essex County College of Newark provides several educational pathways for aspiring RNs. Their traditional ADN and LPN to ADN offerings help students find their footing as healthcare providers and nursing leaders. Follow the link to learn more about the Essex County College nursing program. The County College of Morris, located in Randolph, offers students an Associate of Applied Science degree in nursing that accommodates individual learning needs. With several tracks of study, including day and evening options, CCM students learn the necessary clinical skills needed to become exemplary RNs. Learn more by visiting the County College of Morris nursing website. Jersey City's Saint Peter's University offers several standout registered nursing programs. Whether students choose the basic pre-licensure BSN program, the RN to BSN program, or even the RN to MSN option, they can rest assured that they will be receiving a top-notch nursing education. Follow the link to learn more about the Saint Peter's University nursing program. Ocean County College in Toms River, New Jersey offers nursing students a variety of experiences designed to spark and enrich their drive for lifelong professional development. OCC nursing graduates are a welcome part of the healthcare team. Follow the link to learn more about the Ocean County College nursing program.